Nuclear power plants around the world may be using the same faulty parts that have caused problems at the troubled reactor at Flamanville, France. This comes as French nuclear firm Areva has admitted that hundreds of quality control documents are missing key information which could identify defective parts. 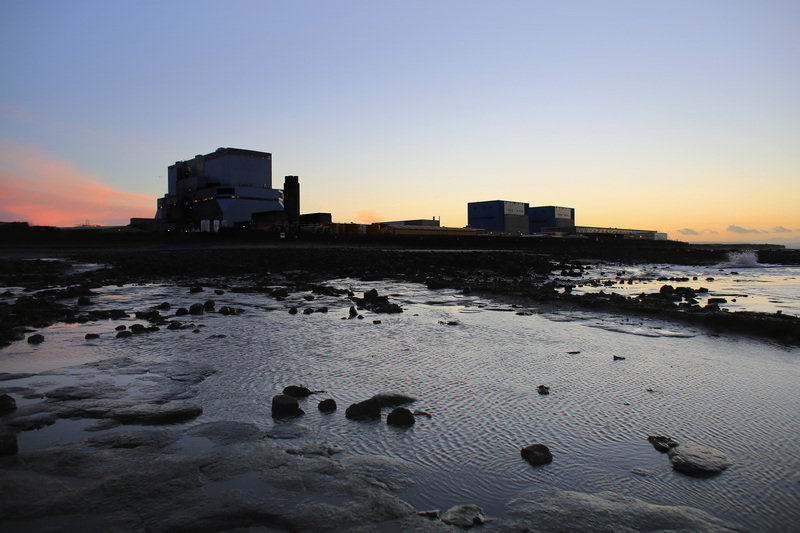 Areva is also leading the construction of the Hinkley nuclear plant in Somerset. Last month the French Nuclear Safety Authority (ASN) announced that parts produced for the Flamanville project by Areva’s manufacturing facility Creusot Forge had been found to have ‘irregularities’. This discovery prompted a review of decades worth of documents produced by the plant — and lead to the identification of another 400 potential defects. These documents either misreported or failed to report the levels of carbon or other elements in metallic parts that are required to have a specific level of strength. In some vessels, excess carbon could undermine the mechanical ability to withstand sudden breakdown in certain conditions. Roughly 60 of the most safety-sensitive parts currently in use at 19 nuclear reactors across France came from Le Creusot. This week the ASN shut down EDF’s 900MW nuclear reactor Fessenheim 2 in order to further investigate suspected irregularities in a steam generator. Along with Blayais 1, it is the only EDF reactor so far that requires closer inspection. Creusot Forge is a manufacturing plant that specialising in large components for nuclear facilities. Areva has owned the Creusot facility since 2006, though it has been reviewing documents spanning decades – since the plant began operating in 1965 – after the ASN deemed its initial assessment insufficient. The review mainly concerns what the ASN refers to ‘inconsistencies’ in the reporting process, though the regulator is looking into more deliberate ‘omissions or modifications’. Apparently Areva has handed over 80 reports covering one third of the nuclear fleet — 19 reactors at 12 stations. Areva said late last month that two thirds of the reports had been analysed so far, and that the last third is currently being looked at. But it may go further than France. According to a Greenpeace analysis of Areva client data, there are at least a dozen countries around the world operating reactors fitted with parts made at Creusot Forge — and which could be potentially affected by errors or falsifications. So where in the world are these potentially problematic nuclear parts? Let’s start in Europe, where three reactors are relying on components from Le Creusot. The UK’s nuclear regulator recently gave the all-clear for EDF’s Sizewell B reactor to restart, after what it called a ‘thorough examination’ of the pressure vessel. Vattenfall’s Ringals station in Sweden is looking into its Creusot-made steam generators, and reports in the Swiss press say parts at Axpo’s Beznau reactors may require more extensive testing. Belgium: Tihange and Doel use replacement steam generators, vessel closure lid and pressuriser supplied by Creusot. Spain: Replacement steam generators used at Asco and Almaraz. Slovenia: Replacement steam generators used at Krsko. United States: various reactors use potentially affected vessel components (Prairie Island 1 and 2), replacement lids (North Anna, Surry, Three Mile Island, Crystal River 3, Arkansas, Turkey Point, Salem, Saint Lucie, D.C. Cook…), steam generators (Prairie Island 1, Callaway, Arkansas, Salem, Saint Lucie, Three Mile Island) and pressurisers (Saint Lucie, Milestone). Brazil: Angra II uses replacement steam generators. China: equipment in the Guangdong 1 and 2, Ling Ao 1 and 2 and Ling Ao 3 and 4 reactors, as well as replacement reactor lids at the Qinshan station. South Korea: parts in the Ulchin 1 and 2 reactors. South Africa: parts in the Koeberg 1 and 2 reactors.